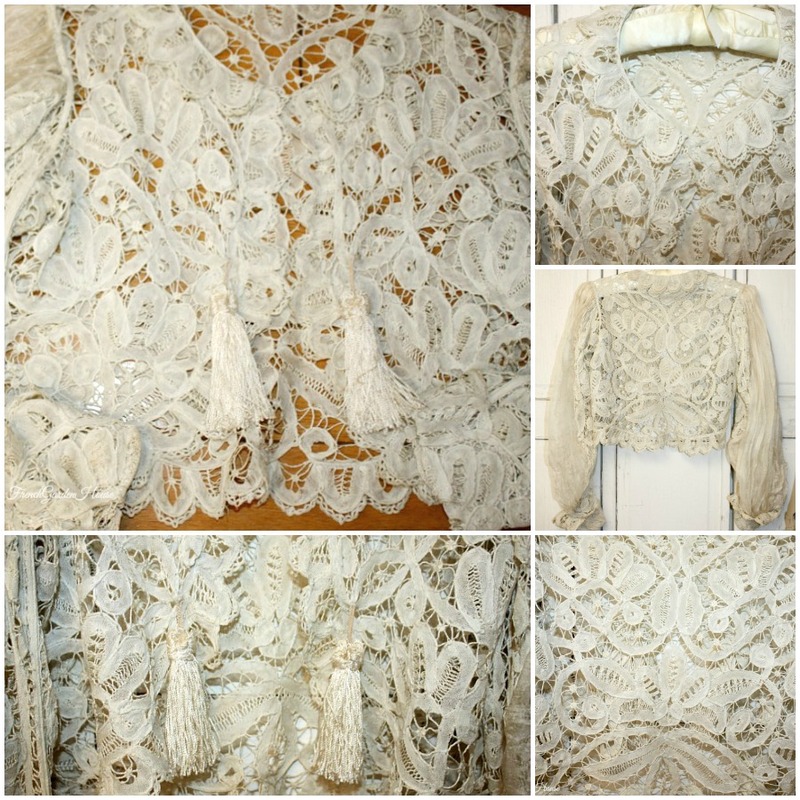 Sublime Antique Lace Jacket, an elegant and refined example of lovely floral and foliate elements suspended in the airy workmanship of an expert lacemaker over a century ago. 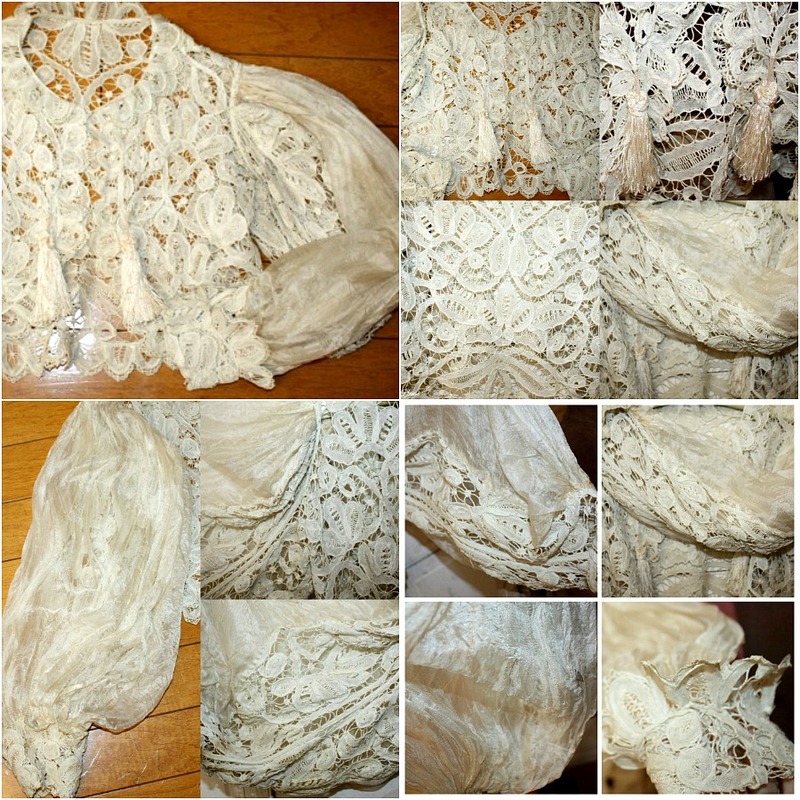 French made in the 1800's, this exquisite confection has whisper thin Ivory Cream Silk sleeves, stunning hand made tape lace with twisted bridges, web like fields with romantic floral designs, and spirals, all edged in the finest, most delicate lace trim. The front has a sweet rounded collar, and is embellished with two silk tassels. 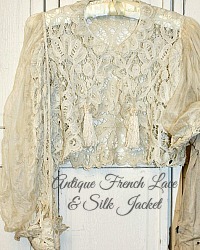 This is a tiny, feminine jacket, shorter to account for the bustles fashionable ladies wore in the mid to late 1800's. This is such a stunning find, perfect to add to your collection of antique needlework, lace, textiles, and clothing, it is not perfect, but such a rare treat to find that I forgive the flaws. Of note: the fine and quite delicate silk sleeves have some shredding, due to their voluminous nature this is not apparent, especially not when on display on your mannequin. There is minimal wear to the needle lace here and there, nothing untoward. I have not laundered this piece, as I know some of you collectors prefer pieces as is, or to launder yourself. 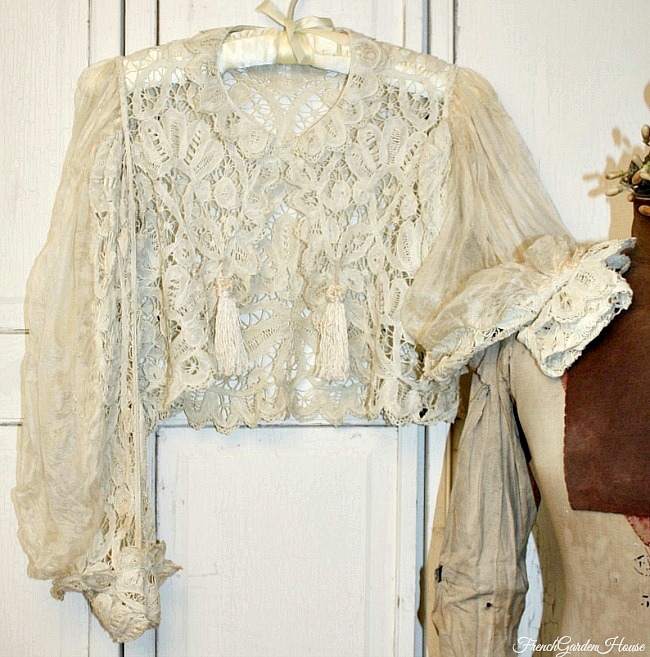 Gorgeous to display in your boudoir, a stunning and very collectible early jacket. Measures 15~1/2" long in the back, 22" long sleeves, 16" from underarm to underarm.